Lee Snyder received his Bachelor’s Degree from the Oberlin Conservatory, where he studied with Stuart Canin (Paganini Competition winner). He earned two Master’s Degrees, one from Juilliard School while studying with Ivan Galamian and Dorothy Delay and the other from State University of New York at Stony Brook. He was a member of the American Symphony under Leopold Stokowski and the Chamber Symphony of Philadelphia under Anshel Brusilow. He has concertized in the U.S., Germany, and Central America. He has also performed concerti with several of the local orchestras. For many years, Mr. Snyder was a member of the Alverthorp Trio. As a teacher, Snyder has had nine students perform as soloists with the Philadelphia Orchestra, as well as having many students win the local community orchestra solo competitions. 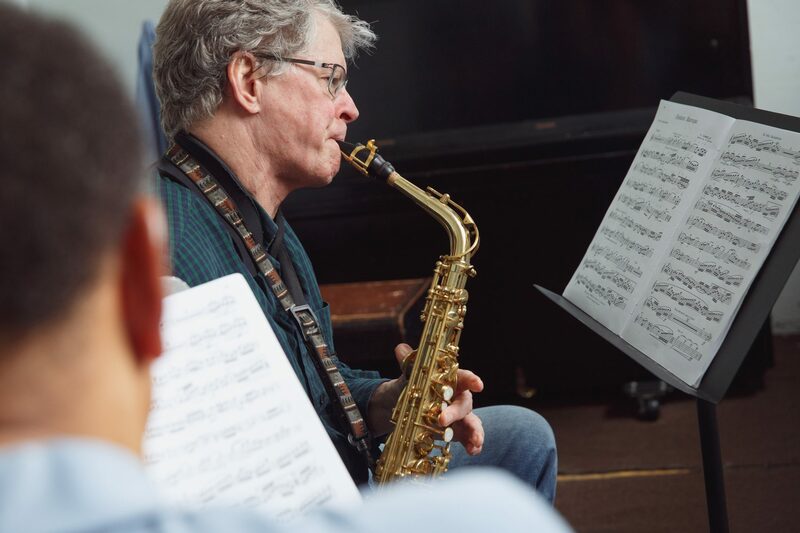 Two of his former students are presently members of the Philadelphia Orchestra while others have graduated from the Curtis Institute, the Juilliard School of Music, Eastman, Cleveland Institute of Music, Peabody, and others. His students have positions in other major orchestra and there are a number of former students on the Settlement Music School faculty.